Radio One advertising is a fantastic medium for local advertisers as it allows them to reach out to the local community in a highly targeted and cost effective way. Brand building requires broad reach and involvement: Offering scale with lower entry cost and greater regional flexibility is a huge selling point for Radio One FM, and one that isn’t really exploited by many advertisers. Book Radio One FM ads online today. Advertise in Radio One 94.3 FM, launched in 2006 is present in 7 Metro cities. Radio One is the ‘audience engagement leader’. Breaking new ground by playing 13 songs every single hour, they play at least 1200 songs more than the other radio stations every month. Furthermore, it is the only station that does not repeat songs in the entire day. This structure increases number of listeners and provides a national media platform for advertisers. 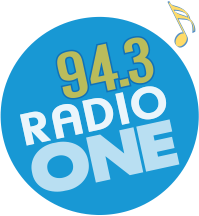 Radio one 94.3 FM prides itself in real differentiation where each station stands out with a clear differentiated format in every city that targets only educated well profiled listeners. By Advertising in Radio One 94.3 FM Mumbai and Delhi, advertisers can reachout to English-speaking community. By Advertising in Radio One 94.3 FM Bangalore, Chennai and Pune, advertisers can reachout to cosmopolitan, Bollywood lover. By Advertising in Radio One 94.3 FM Ahmedabad and Kolkata, advertisers can reachout to refined, retro-listeners. Prime Time: These are morning or early evening slots when most of the audiences are listening to the radio as they commute. 94.3 FM Radio One Advertising rates are usually higher than the other slots. Non Prime Time: The time-band in which the viewership/ listenership is relatively low as compared to prime time. 94.3 FM Radio One Advertising cost is usually the lowest. RODP (Mixed Time): Ads gets placed in equal slots between morning peak, evening peak and non peak. 94.3 FM Radio One Advertising rates are usually moderate. Ad Booking Deadline: Advertisements can be booked a day prior to the execution day, if the brands looking to advertise are ready with their creative and agree with the final Radio One Advertising rates. Radio One Advertising rates will vary depending on time of year, time of day, how well the station is doing in the particular geography a brand is trying to reach. The busier the time of year for radio station, the more a brand can expect to spend on Advertising.